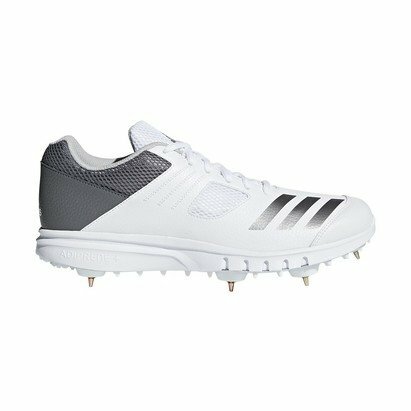 For long stretches at the crease, these men's cricket shoes encourage fast reactions and power behind the bat. The air mesh upper provides maximum breathability and rides on a lightweight TPU outsole with a seven-spike construction to provide stability and traction for quick runs. adiPRENE midsole brings comfort and shock absorption. TPU outsole for stability and traction at a much reduced weight. Mesh and synthetic upper for comfort, lightweight and breathability.